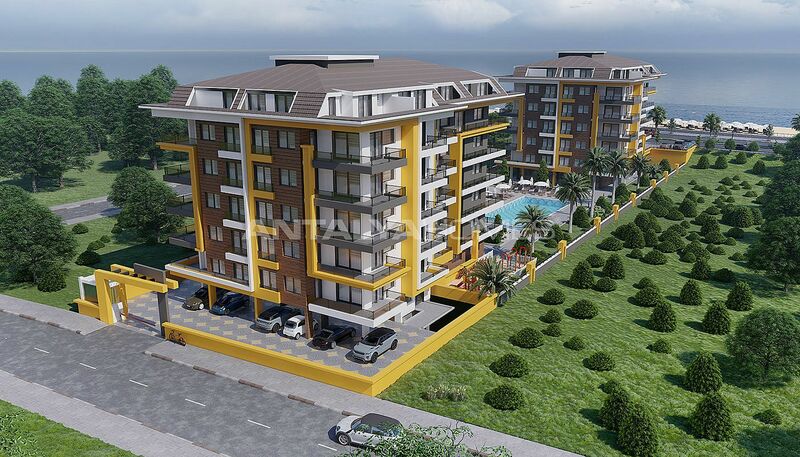 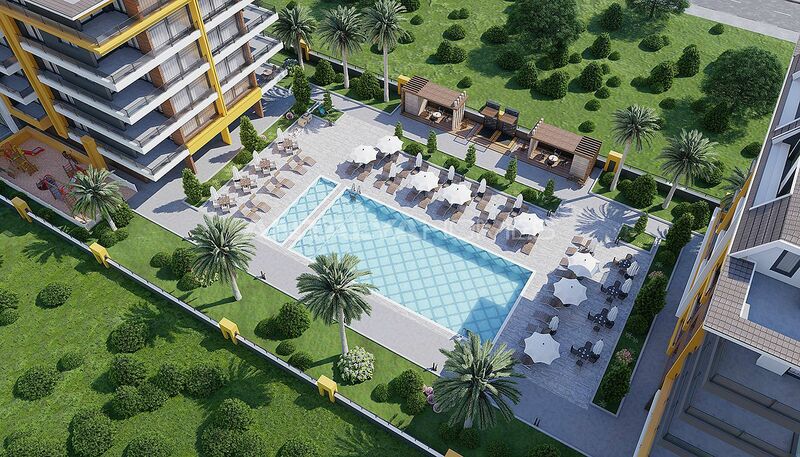 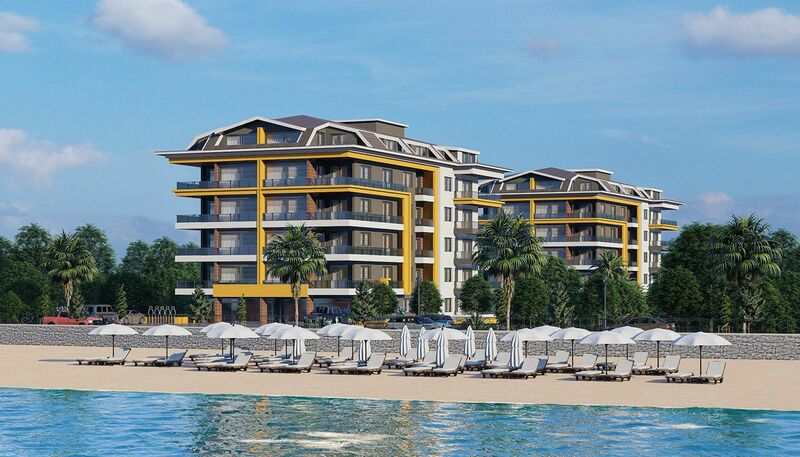 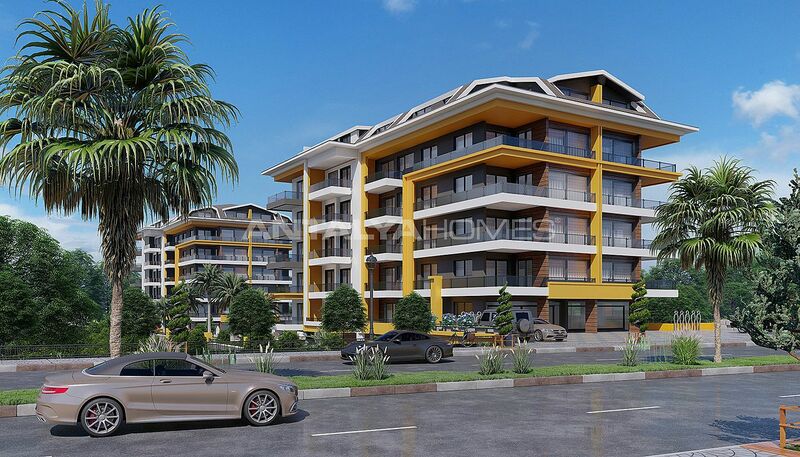 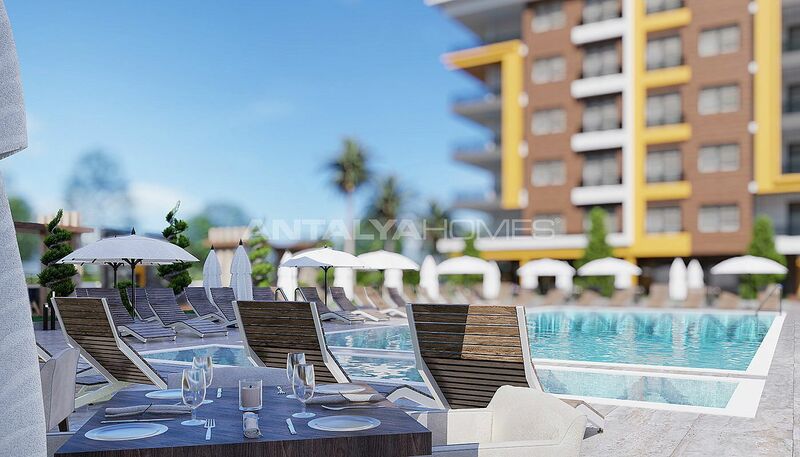 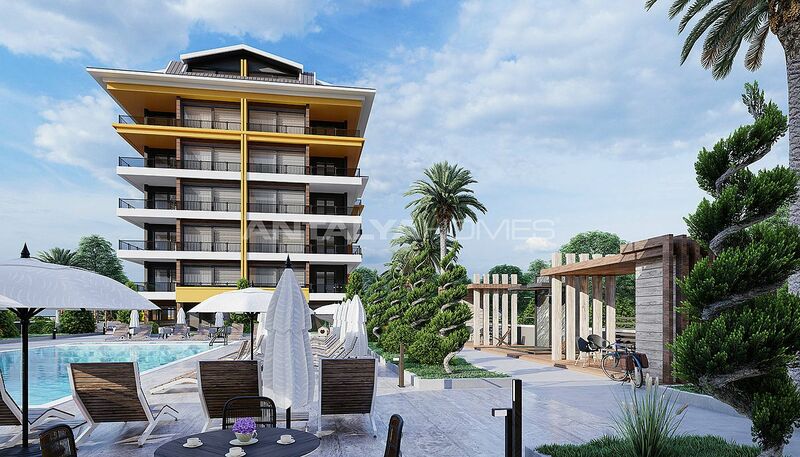 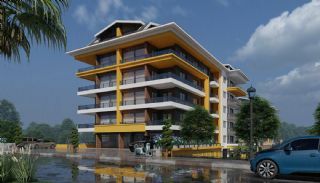 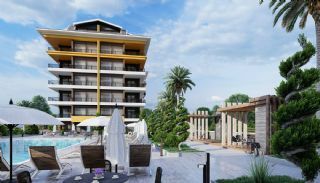 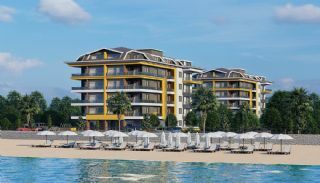 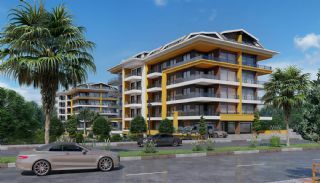 Beachfront apartments for sale in Turkey, Alanya close to all social amenities. 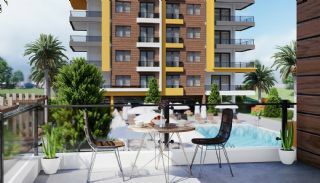 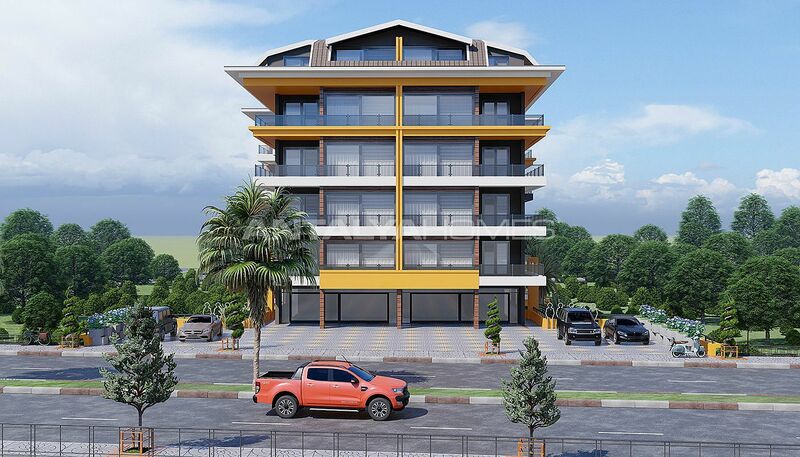 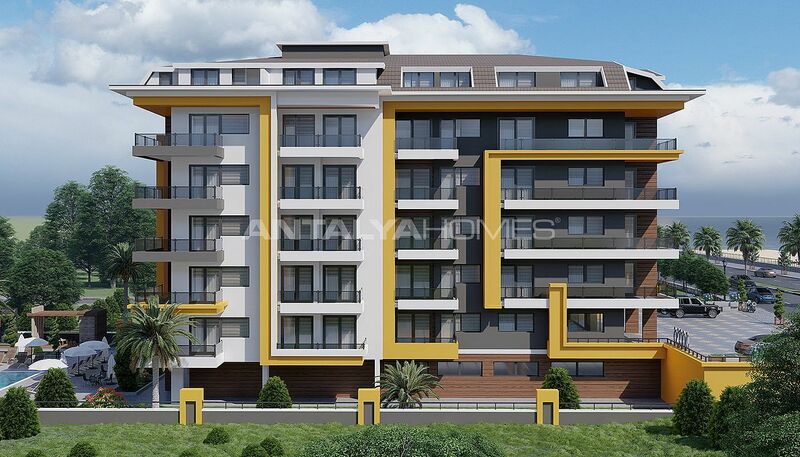 These apartments 34 km to Gazipaşa-Alanya Airport, 7 km to the Alanya center and 133 km to the International Antalya Airport. 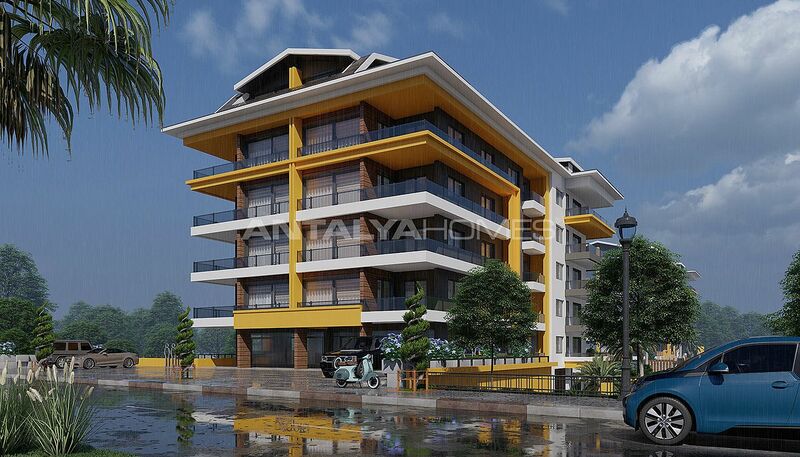 The residential complex consists of 2 blocks and each one 5-storey. 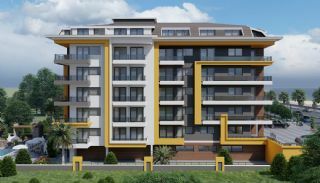 It has 3.342 m² land area. The complex has an outdoor swimming pool, car parking area, pool showers and well-designed garden. 1 bedroom apartments are 65 m². 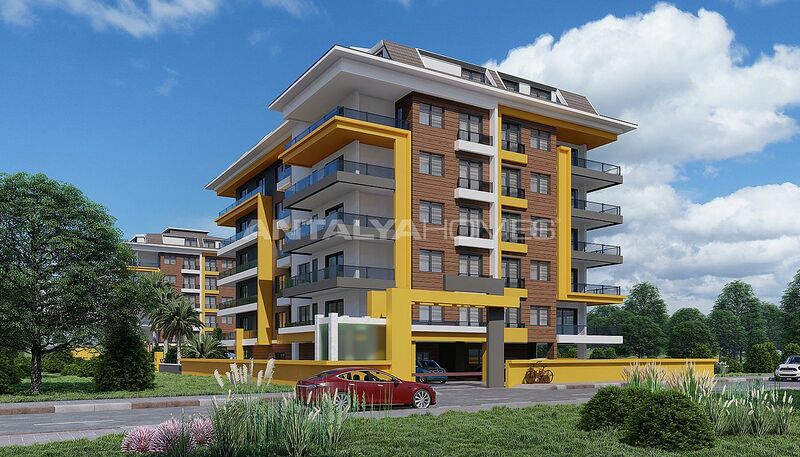 2 bedroom apartments are 115 m². 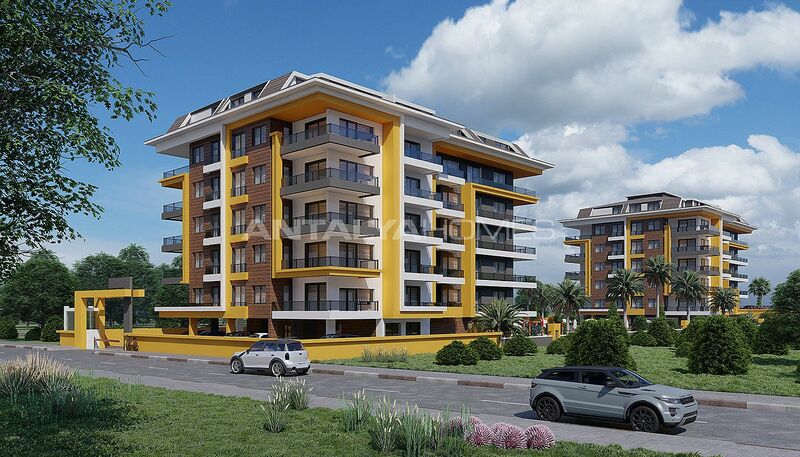 3 bedroom duplexes are 180 m². 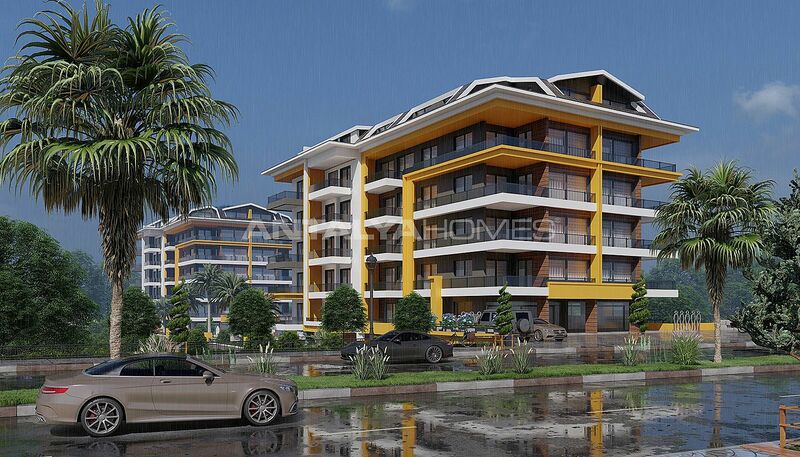 4 bedroom duplexes are 210 m².